Public Relations efforts in the British market intensified during the first trimester of 2016; over 353 million media impressions were achieved in the UK during 2015. 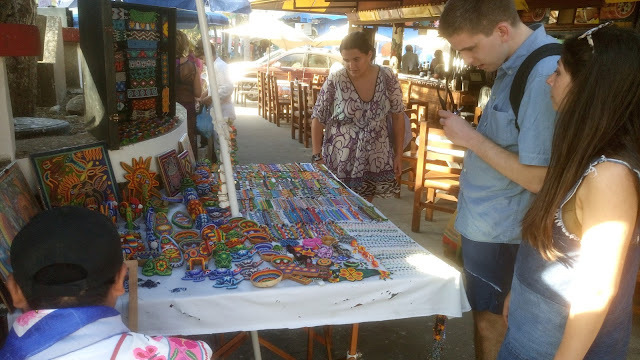 Direct flights from London and Manchester to the Vallarta-Nayarit International Airport initiated the arrival of tourists from the United Kingdom to this region and the market has been growing steadily since May 2014, becoming the fourth destination of origin for tourists to the Riviera Nayarit. The official Barometer for the Riviera Nayarit Convention and Visitors Bureau (CVB) indicated that by the close of 2015 tourists from the UK represented 2.2% of the total of visitors to the Destination, behind Mexico, the United States and Canada. “Though far away, the UK is still a Natural Market because its citizens seek beach vacations with good accommodations, plus they enjoy birdwatching, ecotourism and fine cuisine, all of which we have in the Riviera Nayarit, not to mention the variety of events and the added value of the Islas Marietas,” commented Marc Murphy, Managing Director of the Riviera Nayarit CVB. There have already been three press FAM trips to the destination since the start of 2016 and there is one more currently underway. Representatives from the Holiday & Travel Channel were here from January 21-28; this production company boasts over 300 thousand viewers per episode. The Telegraph was here from February 13-20; it publishes over 480,730 issues in print and over 100 million unique visitors per month. Specialty women’s publication Marie Claire UK was in town from March 5-12; this magazine has a circulation of a little over 186 thousand issues, with 1.2 million unique online visitors per month. Ending the trimester on a high note is Cosmopolitan UK, who is in town on a FAM trip and photo shoot for its summer issue from March 12-21. Cosmopolitan is one of the top publications in the world, with a reach into 100 countries in over 40 languages, a print circulation of over 450 million issues and 6.5 million unique online visitors every month. Last year’s Public Relations efforts in the United Kingdom produced articles in 12 well-known publications (five newspapers and seven magazines) and 50 prestigious websites, resulting in a total of over 353 million media impressions for the region.